Park fees are per vehicle. The Visitor Center is open from 8 am – 5 pm daily. Restrooms are located in each campground, at the Visitor Center, and at each boat ramp. All restroom are handicap accessible. The group day use areas have one 60 x 20 foot Ramada with one barbeque grill for use. There is a $10 per day reservation fee for this area, and $5 per vehicle day use fee. For reservation call the park at (928) 669–2088. We have two group ramadas for day use. One south of Campground A and one in Campground E. The site in the group campground can be used for extremely large groups, contact the park for details. The group camping area has one 60 x 20 foot Ramada with one barbeque grill for use. There is a vault toilet, along with four chemical toilets located in the group use area. There is a $25 per day reservation fee for this area, and $10 per vehicle per night camping fee. This area can accommodate vehicles up to 60 foot long. For reservation call the park at (928) 669–2088. 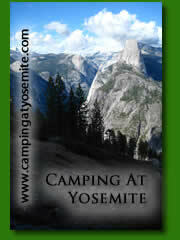 Dry camping is located in Campgrounds D & E. Each site has a picnic table and fire ring. The fee is $10 a night per vehicle. There are vault and chemical toilets loctated through out the campgrounds. Also Campground A has 21 sites available while Campground B has 15 sites (#28-42). These sites are $12 per night. Showers are located in camp areas A, C, and in the main campground. Gruop Ramadas are located in camp areas A and E.